A beautiful and rarely visited section of Castle Lake Creek. This is just a quick reminder of one of the great features of the Lake Siskiyou Trail that is often overlooked. I have posted in the past on the possible hikes on the north and south shores of Lake Siskiyou that are feasible in winter. The whole loop around the lake is not possible since the bridges at the inlet are removed but there are still some really good hiking options on the trail. The best of these are the oft-forgotten “lost creeks” that flow out of the Trinity Divide and into Lake Siskiyou. Mount Eddy from the South Shore, near the creeks. This time of year, I tend to stick to the north shore because of Wagon Creek Bridge, the good views from the boat launch area and the excellent destination that is the lake’s inlet, where the Sacramento River flows into the reservoir. However, the south shore has its own charms, not the least of which is its stunning view of Mount Shasta (truly one of the finest there is). There may not be as clear cut a destination on the south shore, unless you are willing to put in a little extra work. That is where the “lost creeks” come in. Both Castle Lake Creek and Scott Camp Creek are lively, clear flowing mountain streams that shoot through deep canyons before passing under South Fork Road and then flowing into Lake Siskiyou. Between the road and the lake, they have 0.15 and 0.25 miles to go before reaching the still water of the lake. These last bits of free-flowing water are beautiful and wild and generally unthought of as an option to enjoy while other mountain creeks are still bound by snow. 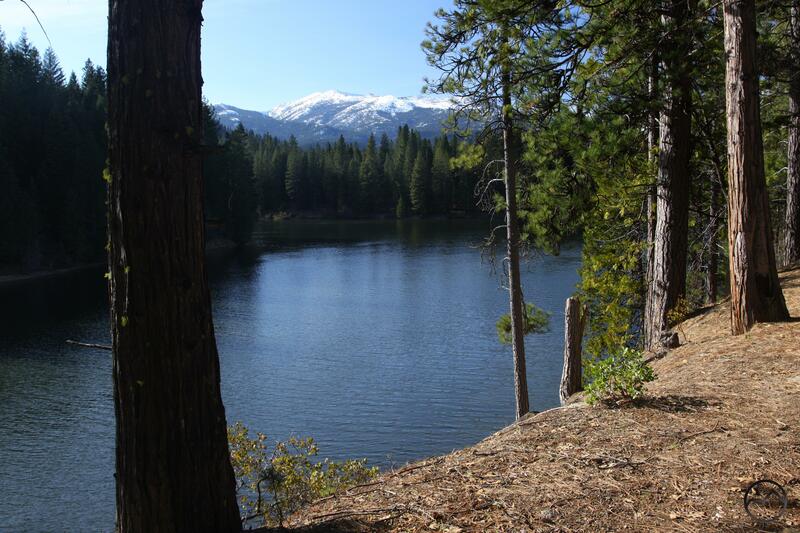 The Lake Siskiyou Trail passes along both sides of Castle Lake Creek and Scott Camp Creek. In both cases the trail is well above the creeks, with steep embankments leading down to the water. There are, however, worn paths leading down to the water. The forest can be thick in places but it is still easy to get down and maneuver along the banks. This is generally truer closer to the lake. 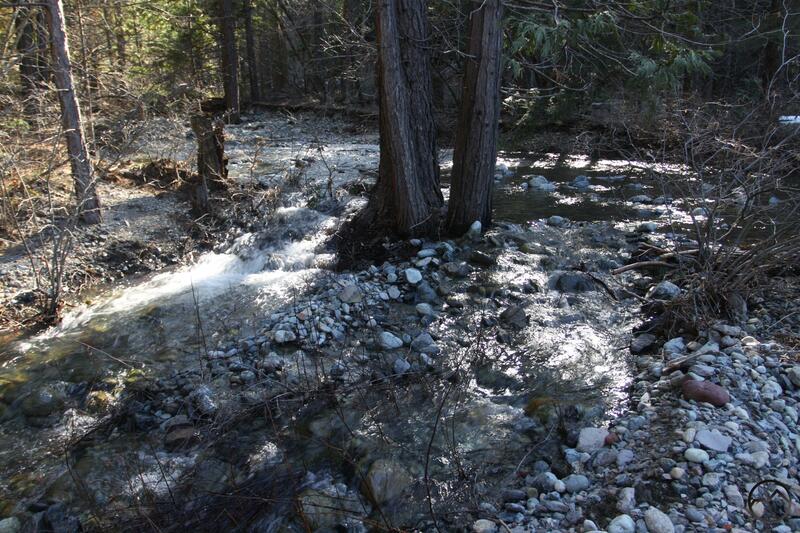 Of the two creeks, Scott Camp Creek tends to get more visitors because it is closer to the Lake Siskiyou Resort. Castle Lake Creek is further away from the South Shore trailhead and the resort and consequently gets fewer hikers heading to it. However, this time of year the resort has little activity and both creeks are great, easy-to-get-to destinations for solitude and free-flowing beauty. While the weather is warm, consider heading out to them!